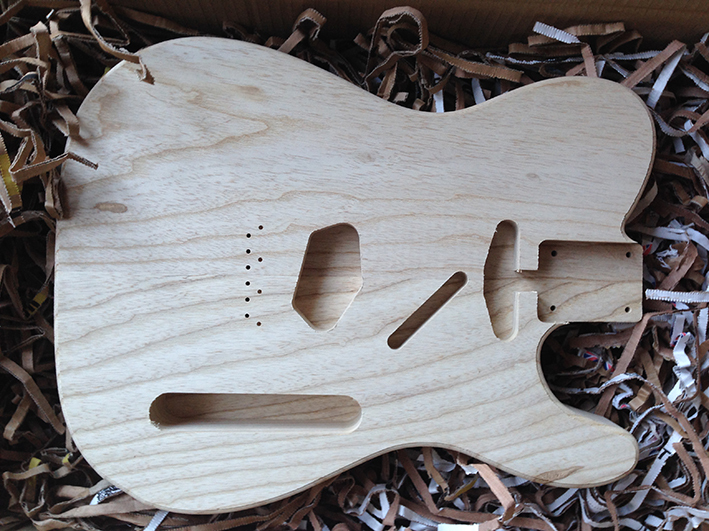 For this build we are going to use a solid swamp ash body just like Francis’ guitar. 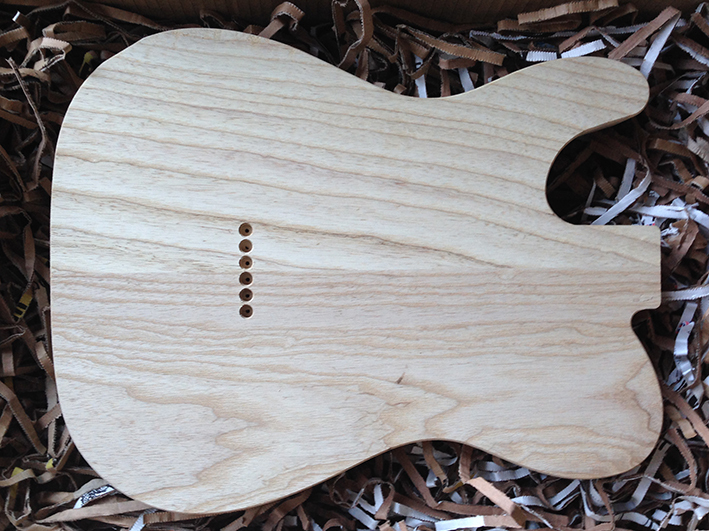 The OG (Original Guitar) is actually a 3-piece swamp ash, but a 2-piece body with a right grain type is more widely available so that is what we are using. The body is carefully selected for overall colour and grain match to the original as closely as possible. 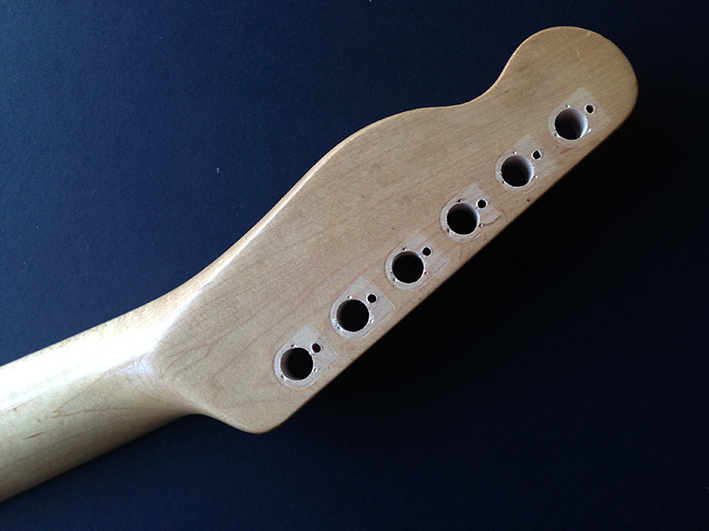 The neck we are using is a standard 1-piece (21-fret) maple neck, with access to the truss rod via the headstock. This is not an exact replica of the OG neck as the original neck is a 2-piece maple with the truss rod adjustment at the heel. 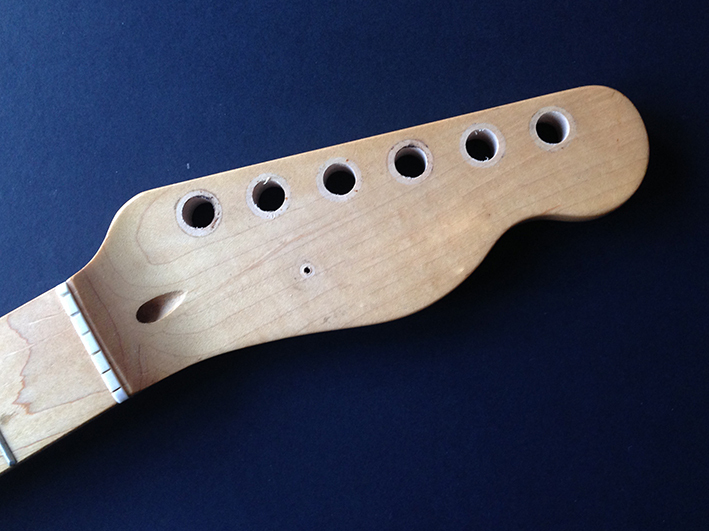 However, the important thing is that the neck does not feature the ubiquitous ‘skunk stripe’ seen running down the back of the neck on many replica builds. An original 2-piece neck would be cost-prohibitive here, so we’re going with something which looks the part. 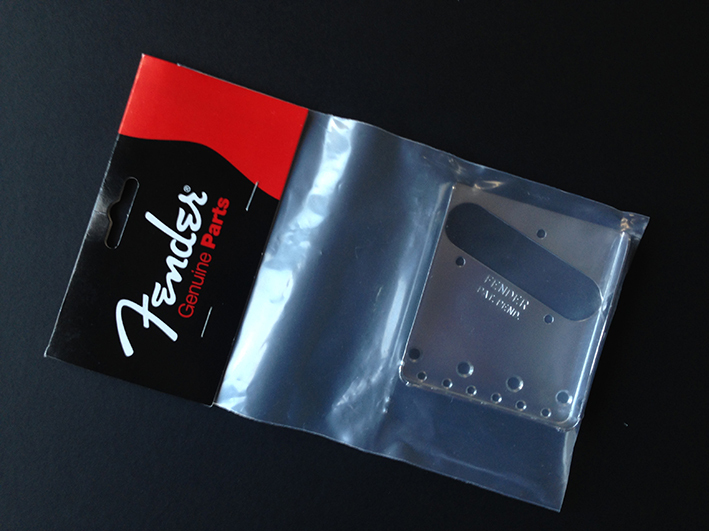 A standard Fender bridge plate and ‘F’ plate are essentials for this guitar to look authentic. Try to cut corners on these details and the finished guitar just won’t look right. 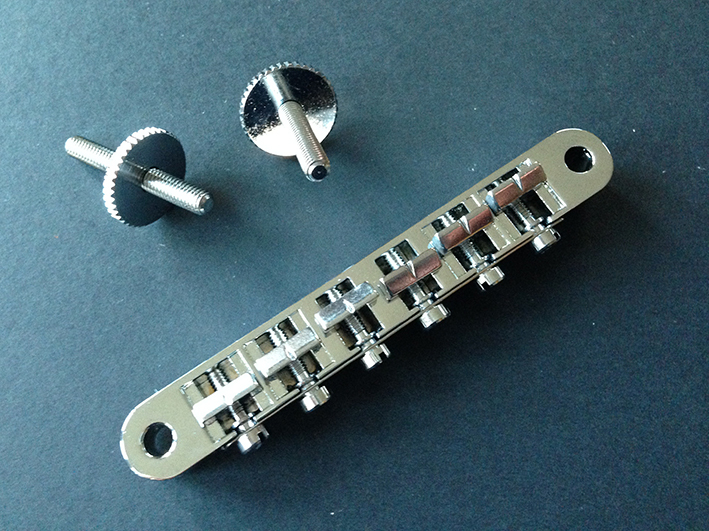 Above is a Tune-o-matic style bridge. The TOM bridge has been around since the early 1950s and was introduced by Gibson. The bridge that we are using here is a very high quality copy. Another important detail to get right is the jack socket. 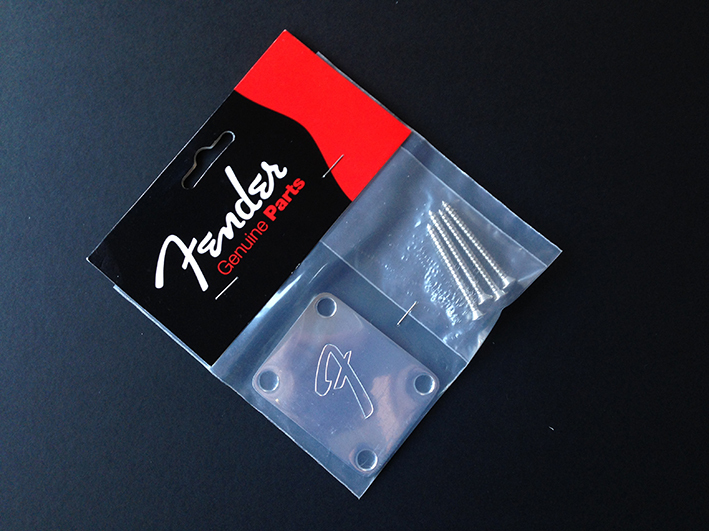 Both Francis and Rick have the square jack plate installed on their Telecasters. 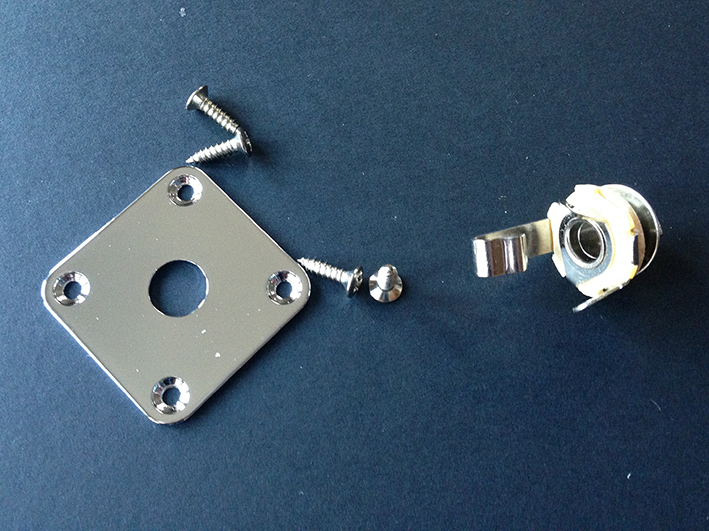 The common sunken circular jack has many problems associated with it including not being able to insert angled leads and also the jack cup falling out on stage. This is Paper Plane (UK release: 18 June, 1972). There are some great close-up shots beginning at 1:11 and there are plenty of opportunities, throughout the video, to see the various patches of wear and tear on the guitar body. Thanks for reading the blog so far and please join me for my next post where we will start with the bridge plate.